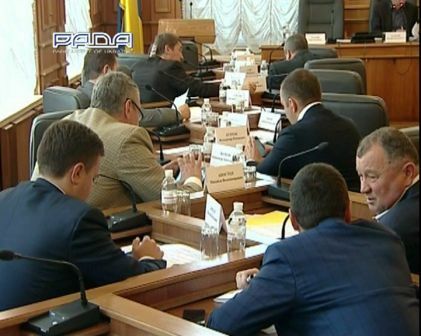 On May 13, 2014 the session of the Committee on Agrarian Policy and Land Relations of the Verkhovna Rada of Ukraine took place. It was chaired by the chairman Grygorii Kaletnik. To the consideration of people's deputies were offered a number of bills, which were actively discussed. Especially the draft Law of Ukraine "On amendments to some legislative acts in the sphere of land relations (concerning the lease of land by agricultural lots )" Reg. № 3206, which offers to restore social and economic development of villages by establishing a minimum term of land lease for a period of 10 years. During the discussion it was noted that in the developed European countries the long-term lease of land as a form of the market economy contributes the movement of land towards the efficient owner. This situation is not common for Ukraine. Validity of lease agreements is short-term, which has a negative influence as the interests of the tenants are not satisfied, conditions for the rational use and protection of soil are not provided, additional investments for improving the quality of land are not made, etc. 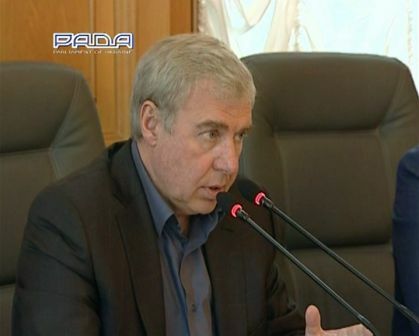 The Chairman of the Committee Grygorii Kaletnik said: "Today land owners while making contracts on leases even for a period of 2-3 years feel danger that they would be enslave as the procedure of early termination of the lease contracts in court is difficult and almost inaccessible to villagers. Having common grounds for termination of the contract the courts, in their majority, made decisions not in favor of the owner of the land unit, but for the guilty party which violates the terms of the contract or not fully and in time pay the rent, or use agricultural lands inappropriately and others. It is not a secret that the tenants have stronger legal protection than the land owners and the owners of the agricultural lands. That’s why, the authors of the bill that initiate the adoption of the minimum lease term at least for 10 years should argue this term together with scientists of the National Academy of Agrarian Sciences of Ukraine. Also it is important to simplify the mechanism of early termination of the contract on lease of land so that the owner of the agricultural land was sure that the conditions on which he agreed to transfer his land to the lessee would be done or, in the case of violations, would be easily stopped." People's deputies of Ukraine and the members of the Committee supported this offer. Also the draft Law of Ukraine "On Amendments to Certain Legislative Acts of Ukraine on clarifying the powers of notaries and peculiarities of registration of proprietary interests on lands of agricultural use", Reg. № 3237, was reviewed and supported. Adoption of this bill will allow to improve the procedure of registration of proprietary interests on lands of agricultural use by providing access of notaries to information of State Land Cadastre; simplify the procedure of registration of proprietary interests on lands of agricultural use which will allow the villagers to reduce time for registration at nearly one third.